How to start McAfee Security Scan Plus on my Windows computer? I have just installed it. If you have installed SecurityScan_Release.exe, you can follow this tutorial to start McAfee Security Scan Plus on your Windows computer. 2. 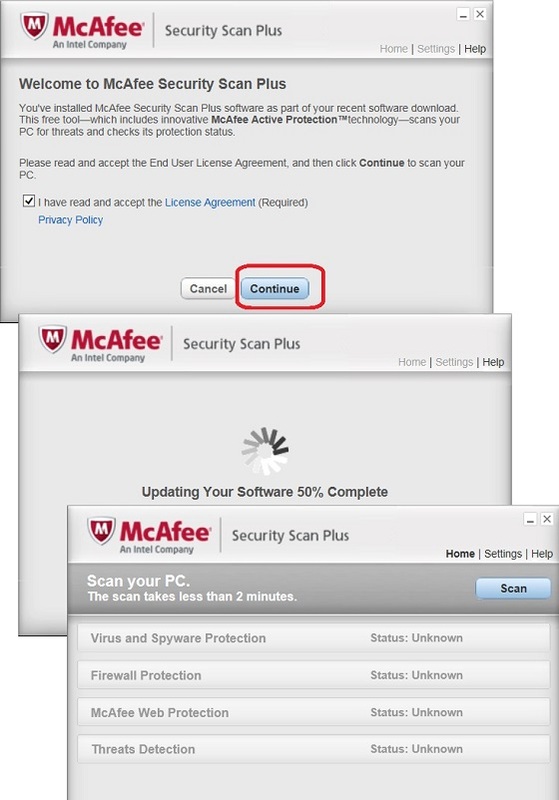 Go to "All Apps > McAfee Security Scan > McAfee Security Scan Plus". You see McAfee Security Scan Plus started with term and condition screen. 3. Check "I have read..." checkbox. And click "Continue". You see McAfee Security Scan Plus is updating anti-virus latest information with McAfee server. 4. Wait until the update is done. You see McAfee Security Scan Plus main screen.